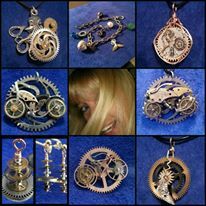 Happy New Year – Chaordicwear – Up-cycled, One-of-a-kind, Handmade Jewelry you can Wear everyday! Making Order out of Chaos! This year I’m going to be working on my shop.